Smiles make things right again and say much more than words ever can. Smiles create trust and rapport. Smiles make other people feel good. And they improve your appearance. Help your smile by maintaining good oral hygiene. One thing that may cause you to hesitate smiling is your own inadequacy about your smile or even something like bad breath. 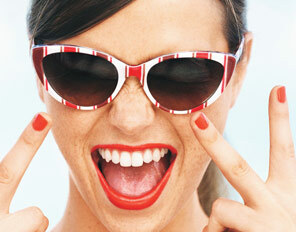 Eliminate these hygiene sources of worry by taking active and inexpensive steps to keep your smile fresh and clean. Develop good habits by brushing your teeth and tongue regularly, flossing after dining and having breath freshener on you at all times. If your teeth are stained, consider your lifestyle habits such as smoking or drinking too much coffee that cause your discoloration and try to minimize the impacts of these habits. Deal with bad breath. If it’s only surface, cleaning and fresheners should be adequate. If these do not work, it may be a sign of an underlying health problem, so see your provider for advice. See your dentist regularly for teeth check-ups and cleaning, as well as discussing options for teeth straightening, etc. When you smile people will inevitably look at your mouth, so following these considerations will help you make a better impression, and, more importantly, a healthy mouth will make you feel more confident about smiling. We are a practice founded in comprehensive dental care, with a specialty in cosmetic dentistry. Opportunities for smiling are all around us, so make the most of them. Feel free to contact us for a complimentary consultation. The Right Smile Center offers comprehensive restorative and cosmetic care coupled with modern technology under one roof. The right smile is a collaborative effort of your input and our expertise. When the need arises we provide you with a multi-specialty group practice, with endodontics, implant placement, teeth whitening, periodontics and cosmetic makeovers all under one roof. Quite often many dental procedures require multiple disciplines and techniques. Not only do we provide all of these services through our multi-specialty group, we also provide in-house dental lab services. All of this saves you time and money. You’re more than a patient to us; you’re an individual with unique concerns and needs. And you’re the reason we are here. Our team is dedicated to taking the time to learn about you and your needs, and then and only then, develop a practical treatment plan to create the right smile. Your smile is the first thing people notice and our goal is to help you make a great first impression. But we want to make sure it’s the right smile, one that’s natural and comfortable for you. If you have questions, please ask. And if we can do anything to make you more comfortable, let us know. We are here to serve you and we have a history of making oral healthcare easy and convenient for your lifestyle. Professional teeth cleanings performed by a certified dental hygienist are the foundation to maintaining a healthy mouth and preventing future gum disease and tooth decay. Actively preventing periodontal disease and tooth decay starts at home, augmented with regular dental cleanings and oral exams, you should be able to maintain a healthy, beautiful smile. Our practice offers preventive care that includes comprehensive cleaning, fluoride treatment, sealants, oral examinations and periodontal treatments that help you maintain your smile’s health and beauty. Brushing your teeth twice-daily and regular flossing at least once a day are necessary for maintenance between office visits, but a healthy mouth and beautiful smile can only be achieved with routine general and preventive care by a dentist. The added advantage of a multi-specialty practice is our in-house periodontist. So if you have an issue that exceeds the ability or training of our hygienists, you can still be examined and treated in our office. If we can be of service please contact us for a complementary consult with one our team. Professional cleanings are the key to your healthy smile. And a healthy smile begins with health gums. If you or a family member has not had a professional cleaning recently, please consider the importance of regular cleanings and maintenance of your dental health. Regular cleanings will keep you healthy and save your smile in the long run. Clean between teeth daily with floss or an interdental cleaner. Decay-causing bacteria still linger between teeth where toothbrush bristles can’t reach. Flossing removes plaque and food particles from between the teeth and under the gum line. While some study results indicate the use of a mouth rinse can be as effective as flossing for reducing plaque between the teeth, the American Dental Association (ADA) recommends you brush twice a day and clean between teeth with floss or interdental cleaners once each day to remove plaque from all tooth surfaces. Plaque is responsible for both tooth decay and gum disease. 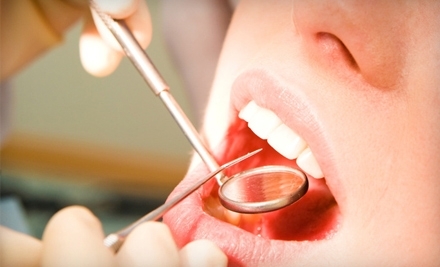 Visit us regularly for professional cleanings and oral exams. Talk with us about what types of oral care products most effective for you. The ADA Seal on a product is your assurance that it has met ADA criteria for safety and effectiveness. Look for the ADA Seal on fluoride toothpaste, toothbrushes, floss, interdental cleaners, oral irrigators, mouth rinses and other oral hygiene products. Replace your toothbrush every three or four months or sooner if the bristles become frayed. A worn toothbrush will not do a good job of cleaning your teeth. Children’s toothbrushes often need replacing more frequently than adults because they can wear out sooner. It is possible to have periodontal disease and have no warning signs. That is one reason why regular dental checkups and periodontal examinations are very important. Treatment methods depend upon the type of disease and how far the condition has progressed. Good oral hygiene at home is essential to help keep periodontal disease from becoming more serious or recurring. You don’t have to lose teeth to periodontal disease. Schedule dental visits for you and your family today by calling The Right Smile Center in Sandy Springs at 404-256-3620. Our dental office is conveniently located on Carpenter Drive in Sandy Springs, and we serve patients from Sandy Springs, Roswell, Dunwoody, Alpharetta, Johns Creek, Buckhead, Marietta, East Cobb and surrounding communities. We welcome new patients and will be happy to answer all of your questions with a complimentary visit. Our team includes in-house periodontal specialists. We look forward to making you, and your loved ones, smile! 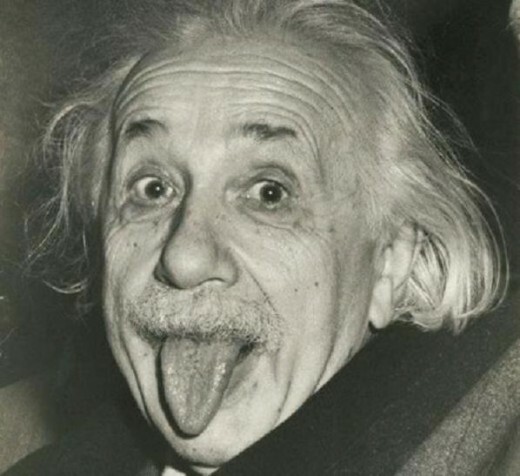 Did you realize your own tongue can alert you to hidden problems about the rest of your body’s health? Recognition and diagnosis of tongue abnormalities require examination of the tongue’s shape, structure, color and pattern along with a thorough history, including the onset and duration of the symptoms and the use of tobacco and alcohol. A thorough neck examination, with careful assessment of the lymph nodes, is essential. Although routinely examined during a patient’s semi-annual hygiene examinations, abnormalities of the tongue can present a diagnostic and therapeutic dilemma for dentists. According to the National Health and Nutrition Examination Survey, the point prevalence of tongue lesions is 15.5 percent in U.S. adults. Lesion prevalence is increased in those who wear dentures or use tobacco. The most common tongue condition is geographic tongue, followed by fissured tongue and hairy tongue. Patients presenting with a tongue lesion or other abnormal appearance of unclear etiology should be referred to an oral and maxillofacial surgeon, head and neck surgeon, or a dentist experienced in oral pathology for further examination and biopsy. http://www.aafp.org/afp/2010/0301/p627.html Common Tongue Conditions in Primary Care. If you haven’t received an oral examination in recent history we recommend you make an appointment and see your dentist to do so. If we can be of service or answer any of your questions please feel free to contact us. Shulman JD, Beach MM, Rivera-Hidalgo F. The prevalence of oral mucosal lesions in U.S. adults: data from the Third National Health and Nutrition Examination Survey, 1988–1994. J Am Dent Assoc. 2004;135(9):1279–1286. They’re a comfortable and maintained like your natural teeth. You can eat your favorite foods and chew without fear. They are an affordable, permanent solution that can last a lifetime. 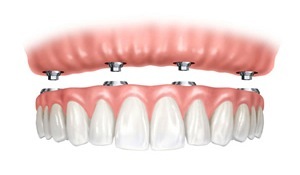 Dental implants look and perform like real teeth. You can chew and eat like normal. A tooth needs a root to hold it in place, and that’s precisely what a dental implant does. You keep your dental implants clean using a toothbrush and floss, just like you would your natural teeth. And with proper care, dental implants will last a lifetime. Dental implants give you a second chance at a natural smile – the right smile. When searching online for pricing, you may notice that Dental Implants are often advertised below $1,000. Don’t be fooled into believing that your treatment will cost that much, because the truth is the restoration portion of the treatment probably isn’t factored into the total price, which in most cases is half the cost. Plus you don’t know who manufactured your implant. Dental implants are the best permanent way to help you get your smile back, along with your confidence. The best part is no one will know they’re implants unless you tell them. Find out if you are a candidate for dental implants. Call or email us now for a complimentary consult. We have in-house implant placement and restoration by our periodontic and prosthodontic experts.